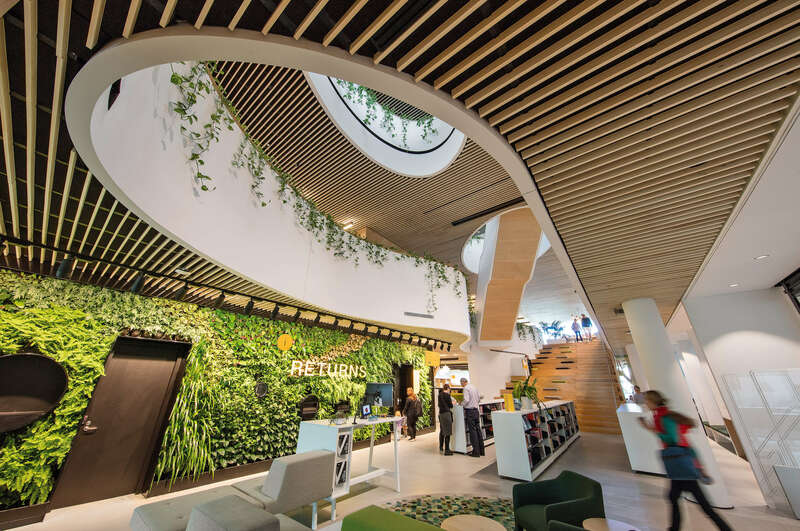 Timber is one of the most popular building products in the world, particularly for ceiling and wall linings. 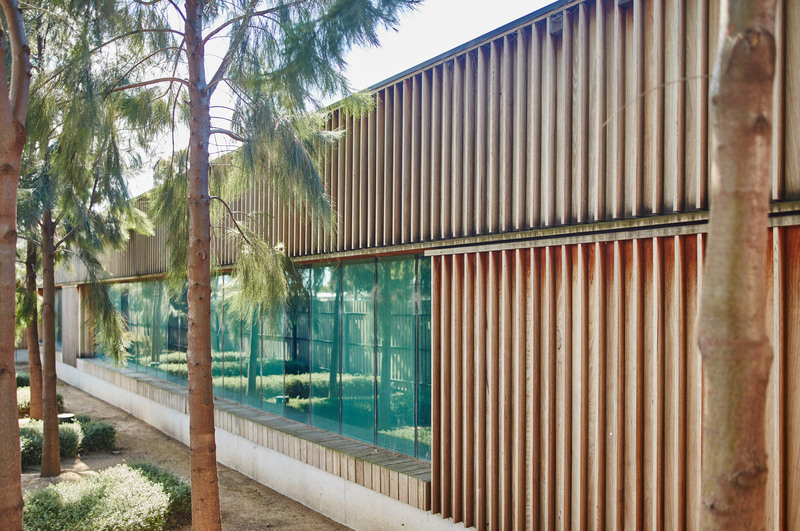 The aesthetic possibilities timber presents when used for cladding or batten systems are seemingly endless, with a huge variety of species of different colours and textures. Timber does have a weakness though. 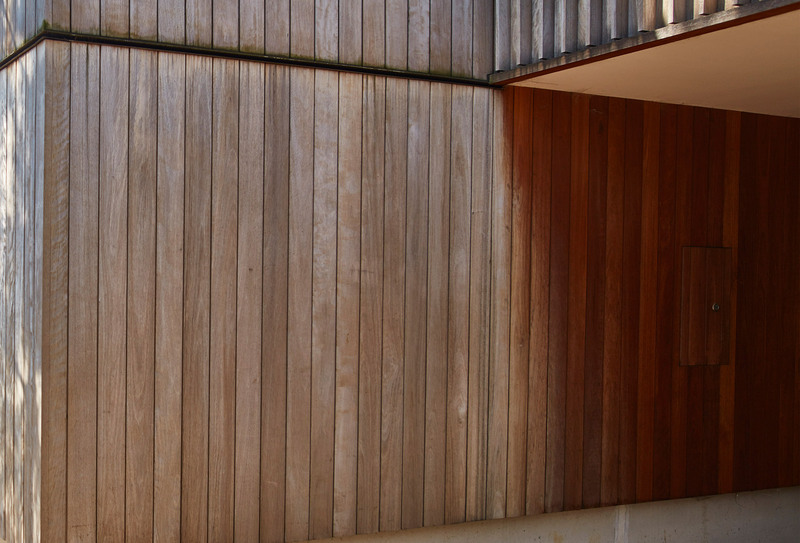 Being an imperfect organic material, timber struggles to maintain its natural colour, particularly when used externally. Exposure to UV light and weather can erode the natural colouring, causing the timber to ‘grey off’. Timber loses its natural colour after exposure to the elements due to chemical changes occurring within. Timber contains tannins, which give the timber its colour and lignins which act as the glue holding the timber fibres together. When exposed to UV light, the lignins break down into simple sugars and the tannins can slowly oxidise, affecting the colour of the timber. When exposed to rain soon after installation, these tannins can often lead to leaching, which we discussed in a previous article ‘Is timber leaching the elephant in the room?’. 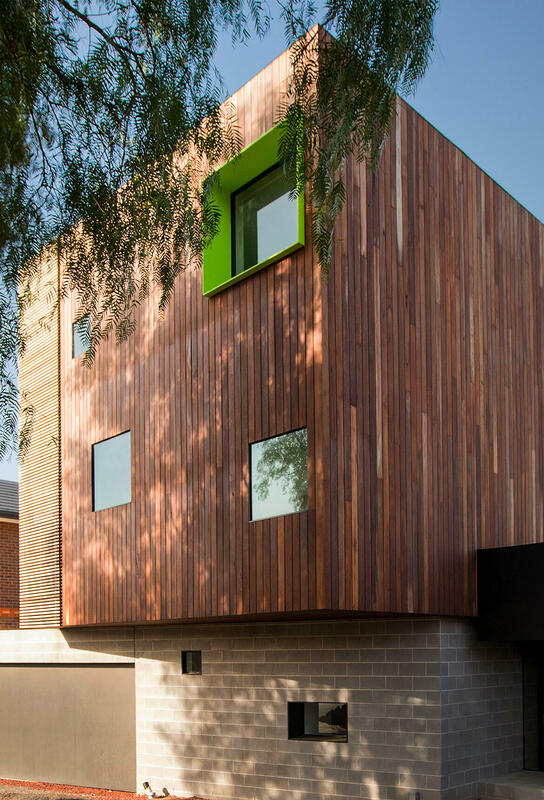 Timber is a popular design choice for external cladding due to its aesthetic appeal, however ensuring this colouring of the cladding remains consistent years after installation can be made easier by making smart design choices. Exposure to UV light is the single biggest factor in discolouration of timber. Ensuring areas are either completely exposed to UV or not at all is the simplest way to maintain a consistent level of greying. 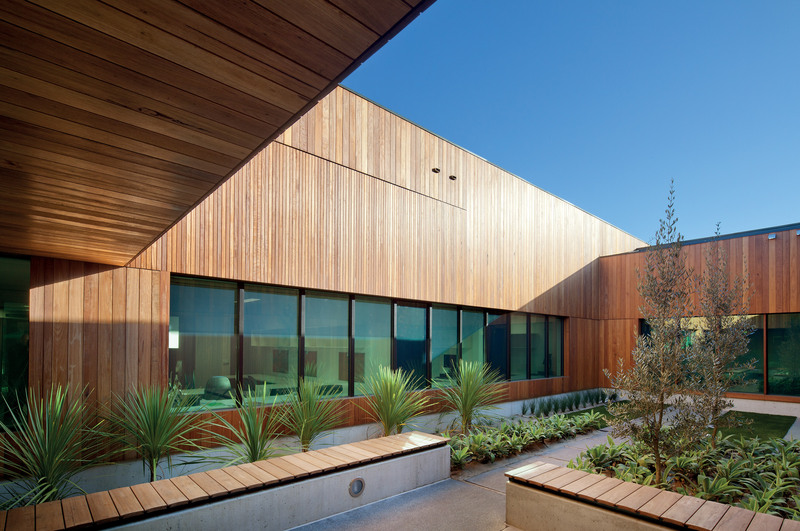 Designers are increasingly choosing to use timber in areas such as soffits, where the timber is protected from UV and rain and requires little to no maintenance (see pictured above). 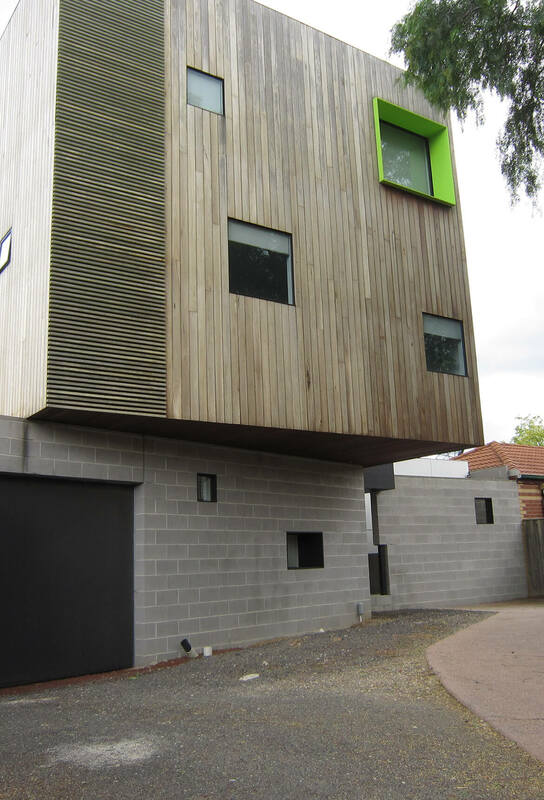 If left unprotected, exposed timber will gradually lose its natural colour and grey. If this is the design intent, as is popular in coastal properties, it is important to design the area in a way that will allow all areas of the cladding to grey at a similar rate. Features such as awnings and curved roofs which protect part of a timber clad wall are notorious for causing issues when trying to maintain a consistent colour (see pictured below). 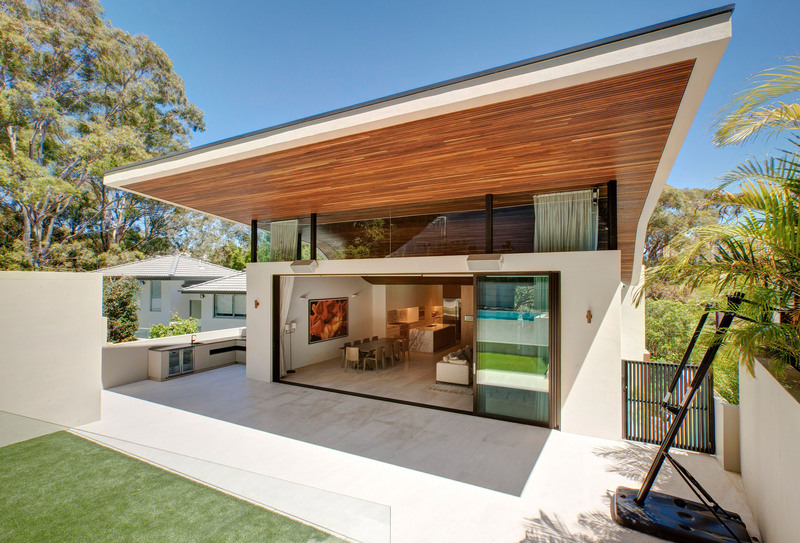 Film coatings create a thin film over the surface of the timber, preventing UV rays from reaching the surface. These coatings can drastically affect the colouring of timber due to their thickness and are known to peel, flake and blister over time. 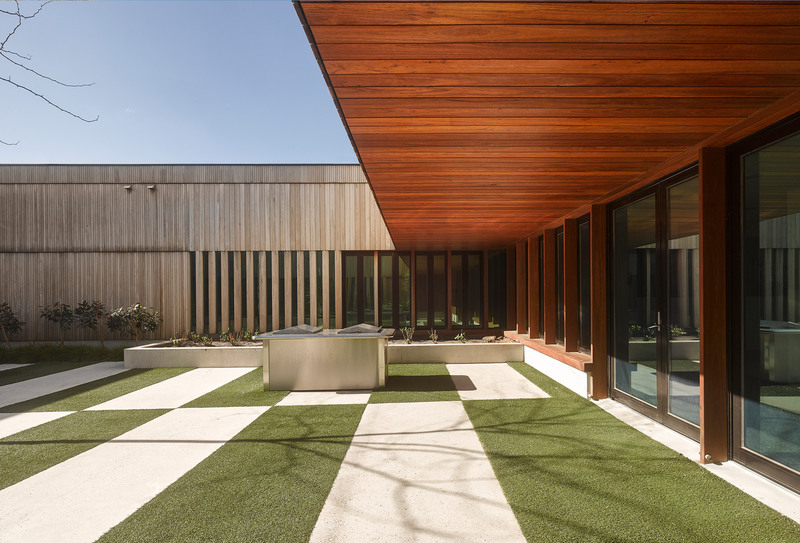 Oil-film hybrids combine the best features of the other coatings available to provide a penetrating coat which lasts longer and effectively protects the surface of the timber. Best example – Intergrain Enviropro. Pictured below, Hans House has been allowed to grey over 3 years. Smart decisions made throughout the design and installation process have provided a spectacular consistent greying finish.